Do you want to hide the worksheets in Microsoft Excel 2016?. Here’s how you do it. Open the workbook in Microsoft Excel 2016 and right click on the Sheet Name tab which can be found in the bottom of the excel .In this example , I want to hide the sheet “Sheet 13”. 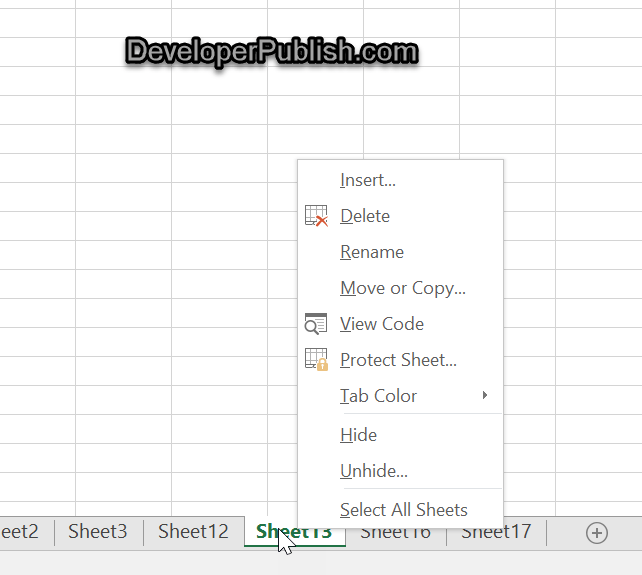 Right click on the “Sheet 13” tab and select “Hide” from the context menu. This should hide the sheet from the workbook.